This ‘Christ Centered Easter’ kit was designed to help you put together a Spiritual & Fun Easter Care Package that focuses on helping your Missionary to learn about the personal experiences of people who were closest to the Savior during the final week of His life and the meaning behind traditions that will help Easter to become a ‘High Holy Day’ in their hearts. Celebrating a Christ Centered Easter offers hope for and Easter filled with the Spirit of Christ that they can continue throughout the year. The Box Flap Designs & Printables have over 88 beautifully-coordinated pieces – all for only $23.95. We can also customize your kit with the name of your Missionary and their Mission Name for an additional $5. ✔ 17-Pages for you to put together your ‘Celebrating a Christ Centered Easter’ Missionary activity. ✔ 5-Pages for you to put together your ’14-Day Walk with Christ’ Missionary activity. 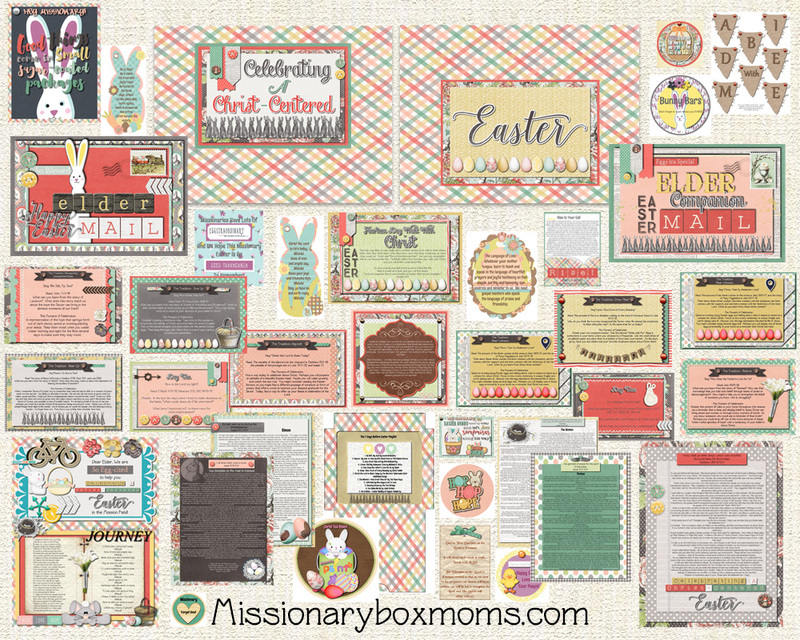 ✔ 4-Pages with multiple Custom Tags and ideas that Can Be Used to put together your Easter Care Package including multiple Sister and Elder tags throughout.